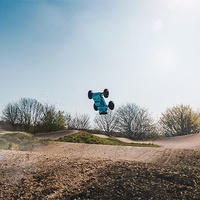 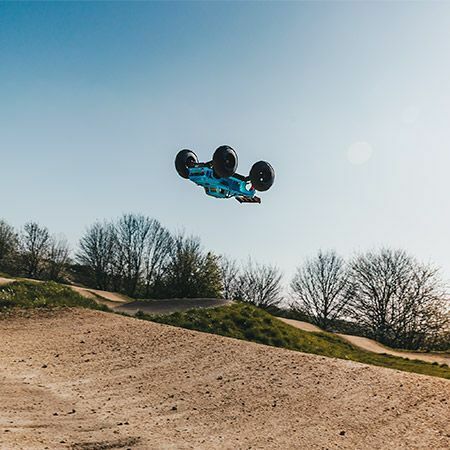 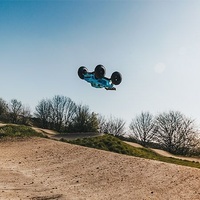 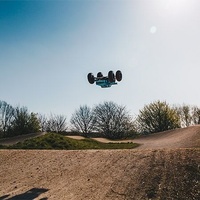 No trick is too difficult for the Arrma Notorious 1/8 scale, Long wheelies and front/back flips are performed with ease. 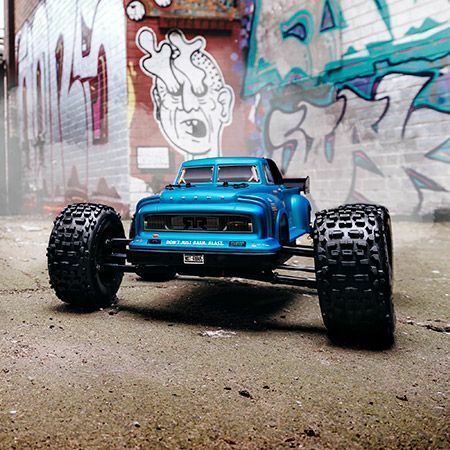 The old school style shell coupled with tyre shredding 6S power and Arrma’s staunch durability make the Notorious a crazy and exciting car to drive! 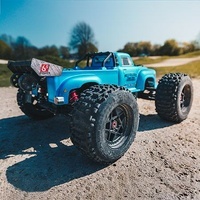 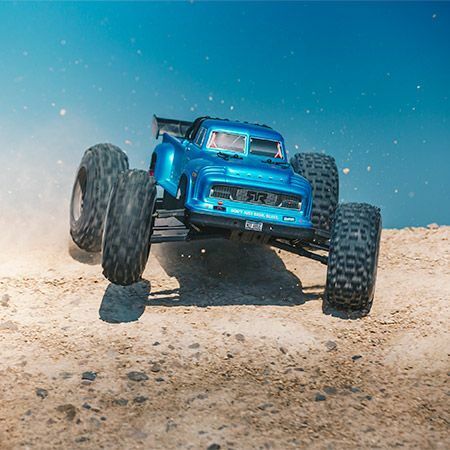 The Notorious adds another element to Arrma’s current Brushless 1/8 lineup, this full-time 4WD truck is capable of speeds in excess of 60+MPH! 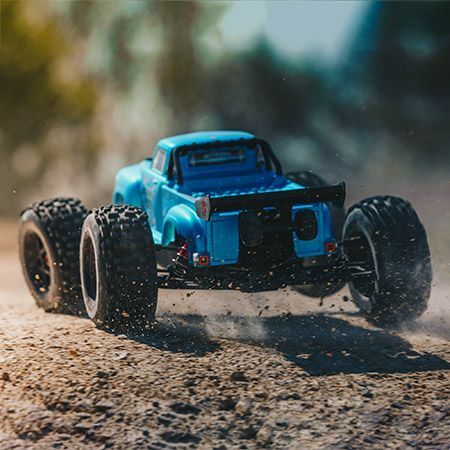 With its Vintage styling and CRAZY stunt abilities, the Notorious is a blast to drive. 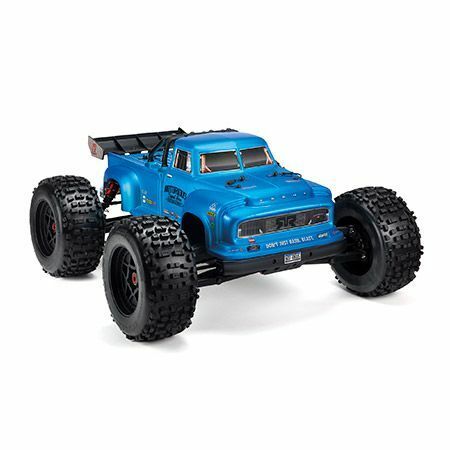 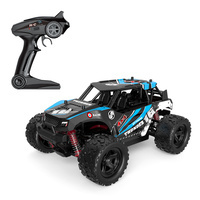 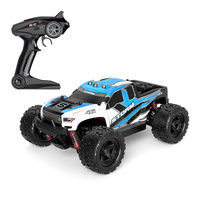 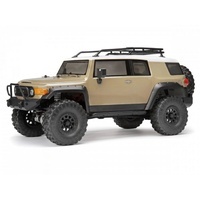 The engineers at Arrma wanted a truck that was reactive to throttle and brake inputs to help with in air control, knowing this they have redesigned the wheelbase to be much shorter, this results in a more responsive car and one the performs flips much more easily. 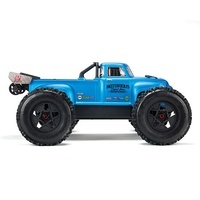 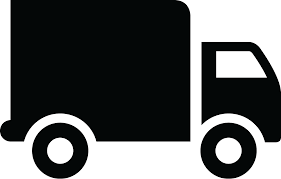 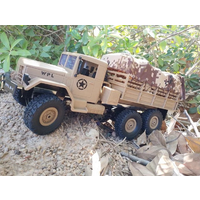 The included tyres also help with in air control, the dBoots tread is a perfect combination for the gnarly truck. 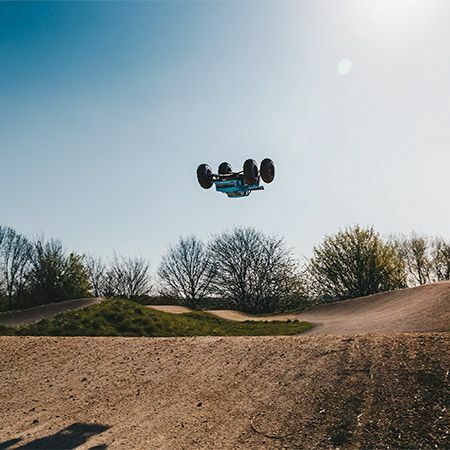 To assist with control during wheelies, the Notorious come pre-fitted with a wheelie bar, this will help make those wheelies long and controlled for maximum street cred! Durability is always of great importance, taking this into consideration Arrma has included a rugged and tough rear wing and also added a strong centre body support for added bash-ability. 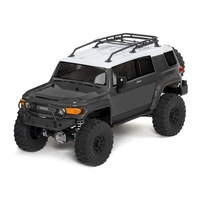 The High wall side guards prevent dirt and mud from getting onto the electronics and drivetrain. 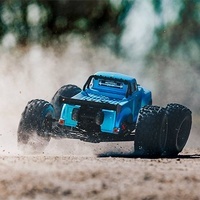 Chassis braces front and rear help prevent chassis flex and the three metal gear differentials assist in distributing the crazy power from the BLX system. 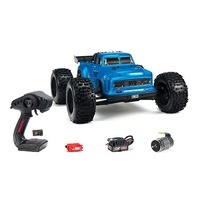 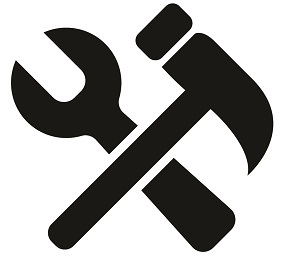 The battery tray offers the customer some flexibility in choice, 4s or 6s power options will both fit and the customer can tailor the 1/8 Notorious to suit them. 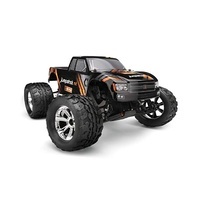 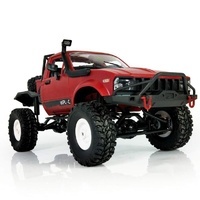 The all-new Notorious from Arrma perfectly blends style with performance, coupled with the Arrma durability this RC Truggy is ready for whatever you can throw at it.